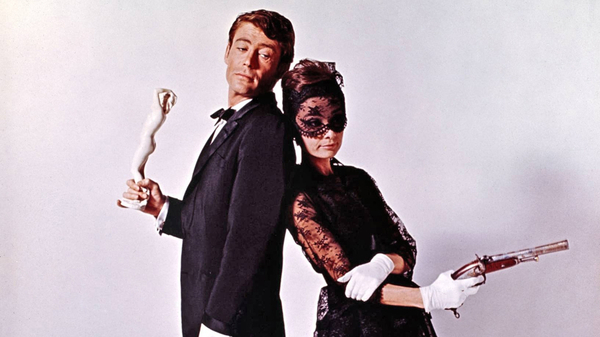 Audrey Hepburn and Peter O’Toole star in William Wyler’s alternately adventurous and romantic comedy heist caper - a tone that's perfectly captured by John Williams' catchy and rapid-fire score. Charles Bonnet (Hugh Griffith) expresses his passion for art by forging masterpieces and selling them at a hefty profit. But trouble starts when his reproduction of a famed Cellini sculpture winds up inadvertently in a famous Paris museum. Worried his reputation will be in tatters if experts start to evaluate it and determine that it's a fake, his daughter, Nicole (Audrey Hepburn), hires cat burglar Simon Dermott (Peter O'Toole) to steal the sculpture back before it's too late. Torn between emulating his contemporaries and forging his own style, How to Steal a Million finds its composer John Williams at a creative crossroads. Whilst much of his comedic score is in the vein of composers like Henry Mancini, blending 60s pop with romantic tropes and jazz, vintage Williams is also at work here. The best example perhaps being his Elgar-inspired coronation in the “March to the Museum” sequence - a superb demonstration of his freakish ability to compose brilliant musical marches seemingly out of thin air.